The Greater Bandon Association has named the October recipient of its Volunteer of the Month award. Geri Procetto is this month’s winner as GBA nears the end of its second year of presenting this award to the many outstanding individuals that contribute to making Bandon a better community to live in. 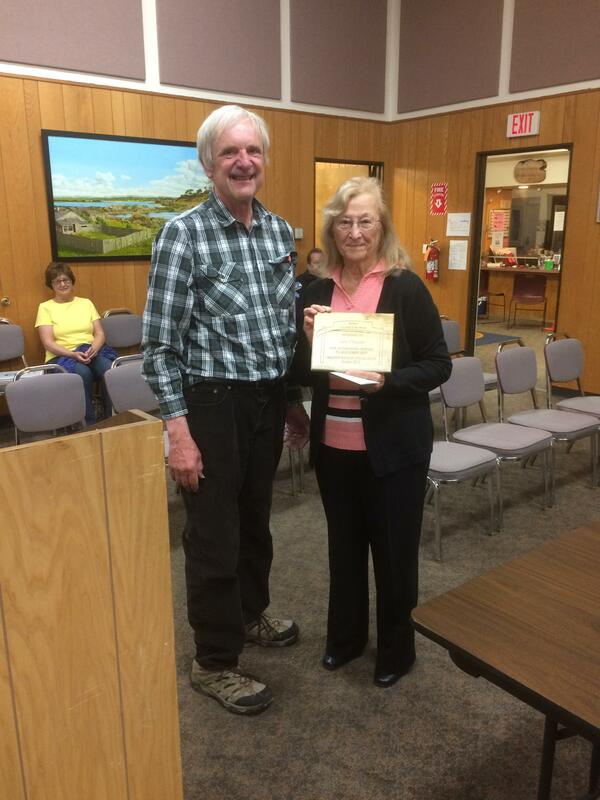 She was presented the award in the form of a plaque and a gift certificate donated by Edgewater’s at the October 3rd, 2017 meeting of Bandon’s City Council. Sometimes we forget that many of our local elected officials are volunteering their time to serve our community. Geri is serving her sixth term as a City Councilor, with one term as council president. She has been instrumental in moving big projects in Bandon forward, including the Face Rock Creamery project, and is continually inspired to keep her work focused on the future of Bandon and its residents. She has served in a variety of organizations since retiring and moving to Bandon with husband John over twenty years ago and has been a very active member in her church. The Greater Bandon Association will be honoring one of Bandon’s many volunteers that are making a difference in the community each month. Nominations for the November award should be e-mailed to harv@greaterbandon.org or mailed to P.O. Box 161 by close of business on October 27th.